This php holiday package script has a separate flight module that lets you to add flight details and edit details for any type of the holiday package and travel details. Our script has customization for themes, templates, banners, payment gateway, Google maps and graphics. The user groups that are available are Admin, Editor and owner, with everyone having access level to the admin panel, travel website admin can add unlimited number of users to the admin panel and it provides them with full or limited access to the system. With our script hotel owners or agents can create accounts from the front page and publish their own travel tours and holiday packages. The admin can manage comments and post rules but it is possible that users can leave their comments and ratings by giving stars; and share their experience with others. The website administrator can create individual e-mail notifications for users and registrants; it is possible to customize your email messages through admin using a set of available gestures. Through admin panel, travel agencies can manage inquiries and reservation of the travel script. The backup feature prevents any loss of information as it is performed regularly to your database and files. 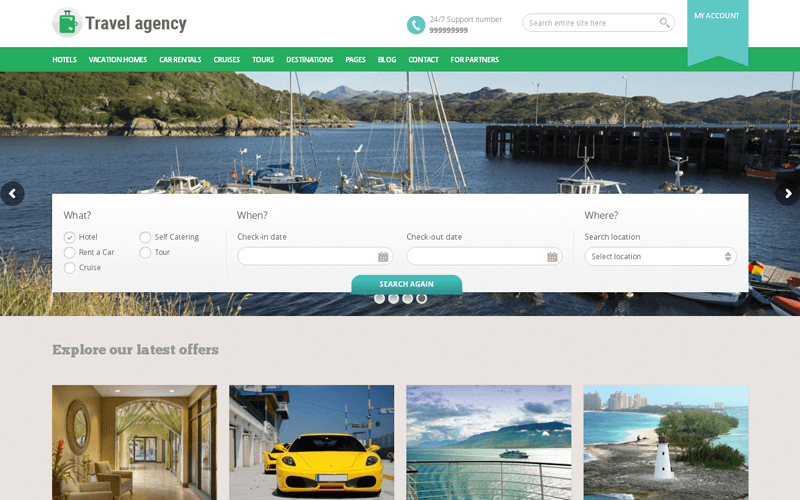 I love PHP travel agency booking system – it’s so user friendly compared to other script, yet, has a lot of fluctuation and ability to personalize extensively. I would love to have more unique abilities to move things WHEREVER I would like or to change the menu font/colors. Looks great!!! Excellent script. Good luck with the sales!!! !